So, if you will, bring to mind your life right now. Your relationship with your children…siblings…parents. What you long for but don’t have. Please take a moment to let the question sink in. Perhaps read it again. It’s a perfectly phrased question because it begins with the most important factor: are you willing? If you’re not, I suppose we’re done and you can return to your life as-is. But if you are willing, shall we explore what’s possible and how you might do it? What about the places where you get reactionary and anxious now? In one year—if you were unrecognizable to your current self–what would your responses to those things look like? And what would life be like then? What about the areas that drain you? Or those people, conditions and things you repeatedly tolerate in quiet desperation. If, in one year, you were unrecognizable to yourself today–what you would be doing with them? And how would your life be different because of it? What’s your answer on this second go-‘round? Back ten years ago, when I was a personal transformation coach, I coined the phrase “Scarlett O’Hara Moment” to illustrate the critical moment of change in any human being’s life: the moment when we have a fierce reckoning with ourselves, and with our God, because the soil underneath us is dried, devoid of nutrients…and we’ve gone without too long. It is a deeply private moment that no one sees and perhaps no one ever knows about, but in it, a promise is made. An unbreakable covenant between you, yourself and whatever is there to listen. You declare that no externals will take you down. You will live through the drought until it rains, and once it does, you will never, never, never go thirsty again. No matter what you have to do (and sometimes it is far scarier than lying, stealing, cheating or killing; it is burning boats, saying good-bye, saying ‘no’, letting go, forgiving, giving up control)—you will do them, you will do them all, because as God is your witness, you will never ______again! This is the moment that creates change. I have never known or seen any other way. You cannot expect a mountain to move by gently asking it to. It requires something profound rising up from the deep well within you, a fierce decision that you are done with the old; that you deserve the new, the all-new, the all-new you. I had such a moment as I saw my 50th birthday looming over me this last year—and what it provoked me to do, and the transformation that resulted; the fact that I am unrecognizable to the self I was just 6 months ago–was made possible only because I raised my fist to the sky. The transformation we’re seeing all across the globe is happening only because people are rising to their feet and declaring an end to the old. This is the time of year when we typically seek the new–but by March, our ideas and intentions have pretty much fallen away as we slip back asleep into our status quo. This could happen to you; probably has every year you’ve been alive. On January first, you are passionate that your relationship be more intimate, or that your work be more meaningful. You feel the exhilaration of swimming against the default-stream of your life and charging after new possibility. But when the current of your life gushes strong again, you allow yourself to get carried away by it. Again. 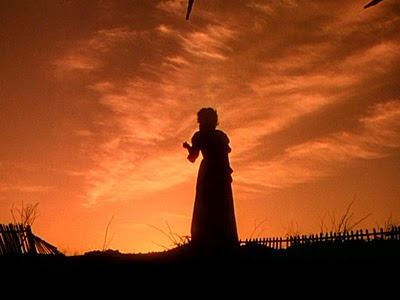 This is because there was no stake-in-the-ground, as-God-is-my-witness, final, fierce, no-going-back-ever-no-matter-what-it-takes, Scarlett O’Hara Moment. If you don’t generate one, you will most likely live another year staring down at the cracked, arid land beneath your feet. The question was altered. Did you read it with the missing word? Are you willing, one year from now, to still be involved in toxic or empty relationships? To still be in a job that steals your life force? To still be struggling with money? Still be stuck in your business? Still feel anxious? Sick? Lonely? Restless? If your answer is a resounding, “NO!! !” then you are on the cusp of your own Scarlett O’Hara Moment! Do This Before You Can Talk Yourself Out Of It! Continue with the picture I was just painting for you. Picture yourself, one year from now, in the same life. Go through every single area listed in the first two paragraphs. And agitate yourself. You must get yourself to a state of being utterly, completely, 100% done with the old that no longer fits you. I encourage you to bring yourself to the floor, or to a place on the earth outdoors, and allow the torrent of emotions within you to be unleashed that arise at the idea of enduring more of the same for another full year. You cannot be tame, tacit or tolerant in this moment! You must allow your emotions to rule here. State, out loud, what you’ve been enduring, what you’ve been struggling with and allow the pain of it all to coalesce. And then, either close your eyes or look up to the sky, and feel the possibility of the new. What is there in a new future that is not here now? Who is there? Who are you? It is there, with that glimpse of what is possible and of what you deserve, that you will rise to your feet. What comes next is all your own, but it must come from a decision. Decidere in latin means to “cut off.” This is the moment when you cut off from the old: the status-quo, tolerating, stifling, struggling, longing, heart-ache, guilt, shame, regret, grief, and all other experiences that shrink you and the life you are here to live. And then, stay true and on-course with the rolling current of your powerful declaration. Allow the strength of that promise that rent the air to take you to new places and into all new behavior. I can see your smile. It is brilliant.